Imbibers can head to The Brasserie and Neighborhood Café at PARISH on Tuesday, December 5, 2017, beginning at 7:00 p.m., as the local Inman Park hotspot, has partnered with Redemption Rye Whiskey to host a celebration in honor of the repeal of prohibition. After 13 years of a ban on the production and sale of alcoholic beverages, the U.S. regained alcoholic privileges on December 5, 1933. Honoring the return to the rich traditions of craft bartending culinary arts, smooth jazz, and the enjoyment of alcohol as a sacred social custom, PARISH invites guests to toast to the 21st Amendment, donning their best ensembles, with specialty Redemption Rye cocktails including an Old Fashioned, Vieux Carre and a Brooklyn cocktail created by Beverage Manager Grace Renshaw. Admission is $20 per person and includes a pre-prohibition-style cocktail, light bites, and a special champagne toast. Tax and gratuity are not included in ticket price. Cash bar and valet parking will be available. For more information, call (404) 681-4434 or visit parishatl.com. Want to learn how to make your own Old Fashioned at home? 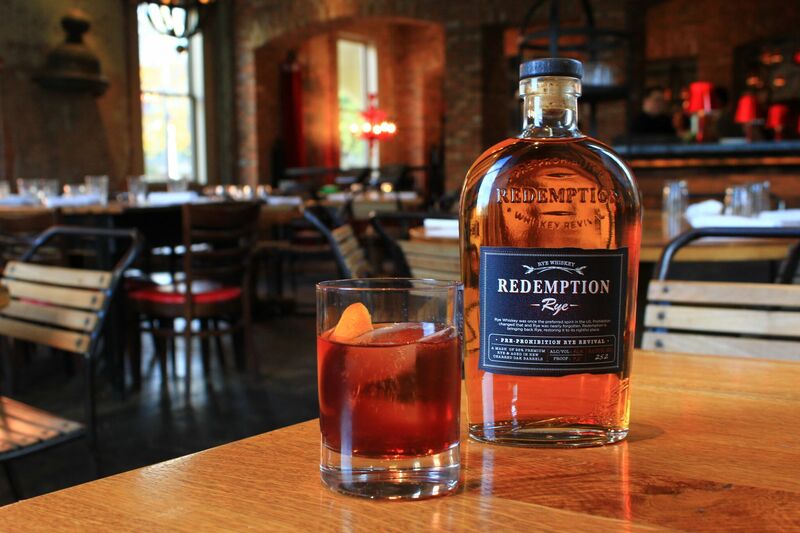 Check out PARISH’s Redemption Rye Old Fashioned recipe below! 1. Combine 2oz Redemption Rye, 4 dashes of Angostura Bitters and 2 dashes of Fee Brother’s Orange Bitters into a shaker tin and stir with ice. 2. Strain over one large ice rock. 3. Garnish with flamed orange peel. Unique people, delicious food, and good-for-the-earth goods all come together at The Brasserie and Neighborhood Café at PARISH. Step off the Beltline and join the vibrant culture of Inman Park at its core. Located in the historic Terminal Building built in 1890, the only remaining structure from an old pipe factory, PARISH has restored the space to its original grandeur. Whether you venture upstairs to the Brasserie or head downstairs to The Neighborhood Café, expect to find inspired familiar American food, inventive beverage, and warm hospitality. Named one of the “Top 11 Restaurants” by The Atlantan, Parish has received non-stop acclaim since its opening. Parish has been featured on CNN.com and proudly holds a 3-star review from The Atlanta Journal-Constitution. Located at 240 North Highland Avenue in Atlanta, Ga., The Brasserie and Neighborhood Café at PARISH is open five days a week for lunch and dinner. For reservations and more information, call (404) 681-4434 or visit parishatl.com.